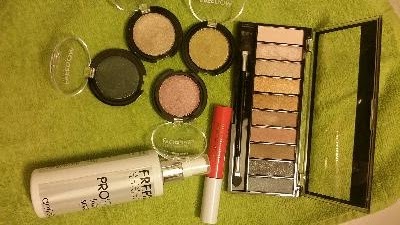 So here is what I got and I also have a quick rating for the products. Lips; Pro Butter - Cats Whiskers. Creamy and quite sheer. A everyday tinted lip balm. 4/5. Face; Pro Studio Anti-shine Fixing spray. Like the spray, it's like a thin mist. 4.5/4.